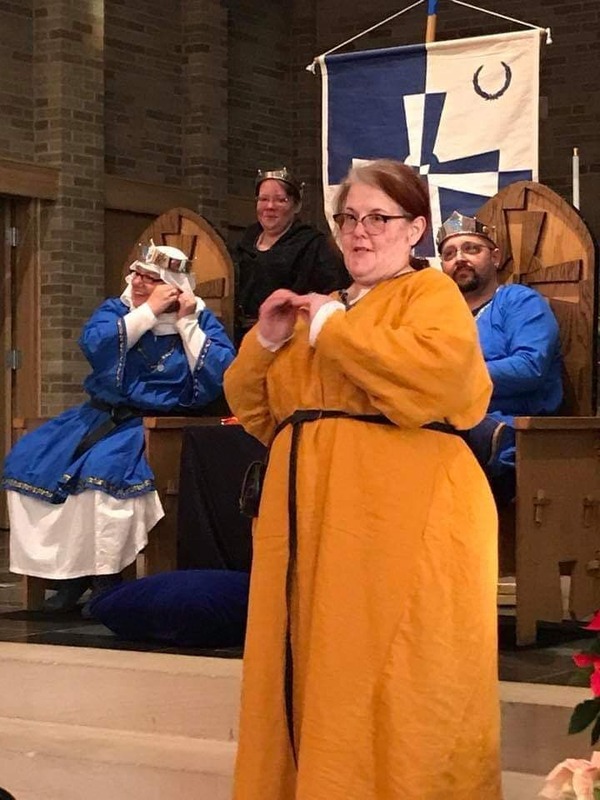 How did you find out about the SCA? My ex decided if I liked the Renaissance Faires I worked for, I should do this. What is your persona? Early period Irish woman to the 1400’s. Why did you pick this persona? My first Persona in the SCA was Roma, but as I have changed I wanted to connect to my heritage, I am also fascinated by Scythians currently. Do you have any group or household affiliations? The Barony of Delftwood is my home. I am a VA caregiver and artist. 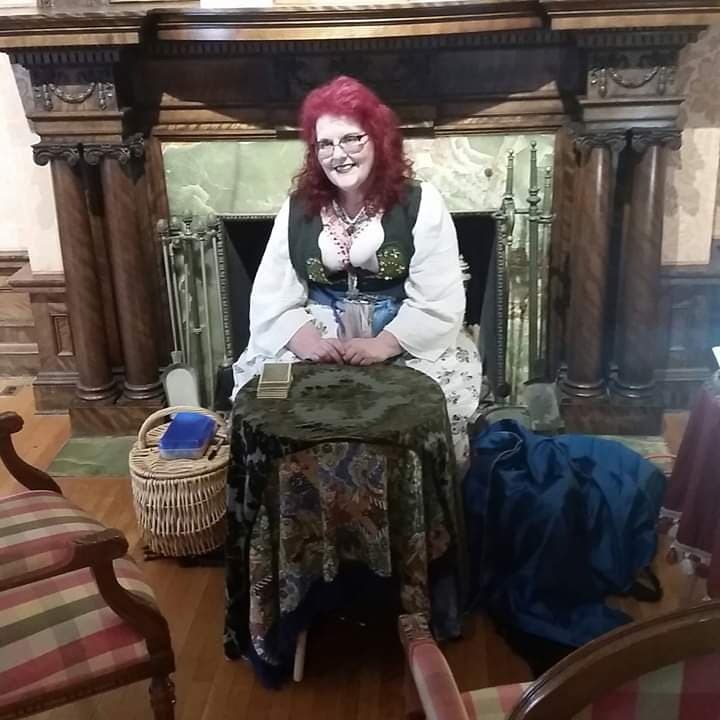 I am a Tarot reader at Earthbound Metaphysical shop in Syracuse, NY. I make Illuminations , Icons, triptych and diptychs. Reproductions of Roman murals from Pompeii . 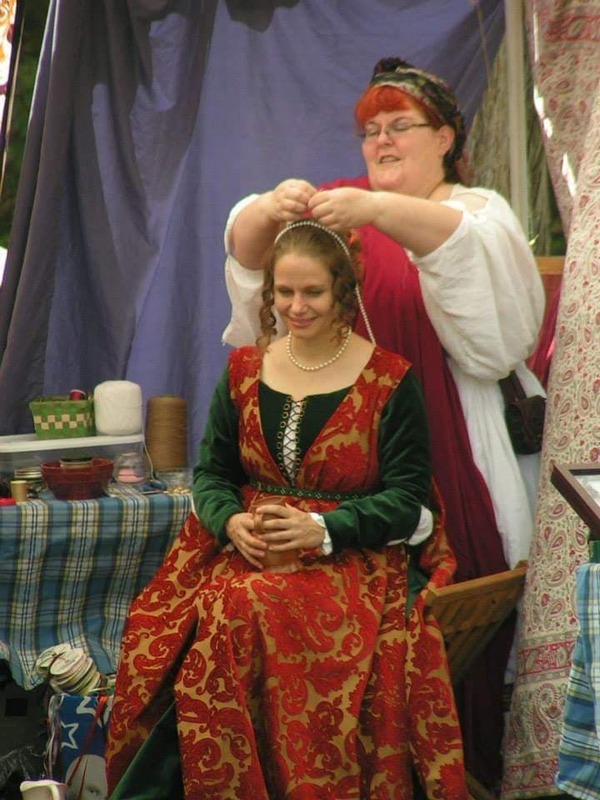 I also sew clothing, embroider and do period hair styling from various time periods and cultures. 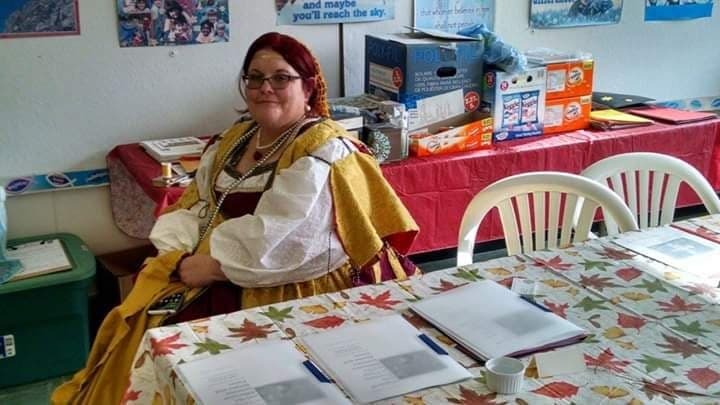 I ran one crown tourney, merchant coordinated Baronial Border War four times , ran three Arts and Science events. I have been a herald, chatelaine, and head lady in waiting to a baroness. I would like to be a peer and give back the care and teaching that I have received. Some groups that are insular and not willing to allow a new person into their “club”. It was difficult to see this and to not play for a little while. Do one event a month and teach. Join no households or form opinions on people during your first 6 months. Go with an open heart and get to know everyone. Don’t aspire to be perfect just always do the best you can. The ability to sing (nope won’t happen). I would like to be a Laurel. Best quote ever I apply to the SCA and My life in general.